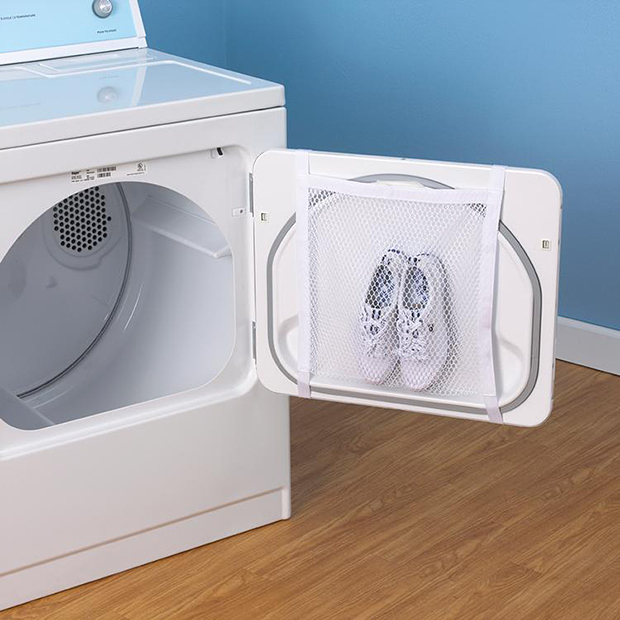 Household Essentials’ wash bag is lets you clean your shoes and other items without damaging your washing machine or dryer and your other clothes. It can be strapped to the lid of front-loading machines. Other wash bags here.